Tonight at 7PM there will be an event in the Athenaeum where two representatives of Bon Appetit will speak about the fieldwork they’ve done. One of them is Vera Chang (’09), cofounder of Food Truth. You can read an article that Vera wrote about tomato farming here. The workers are bent over, picking tomatoes, some of them so close to the ground they are practically kissing it. 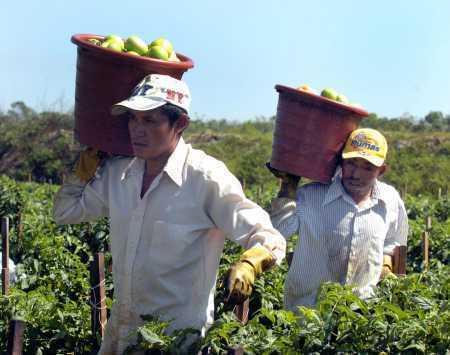 The farm workers pick quickly, their movements rapid and repetitive. These workers are truly like machines in the fields.